The Belfry Hotel and Resort has earned yet more recognition as the outstanding golf and leisure destination in England after scooping two further awards for excellence in the 2016 Today’s Golfer Travel Awards. 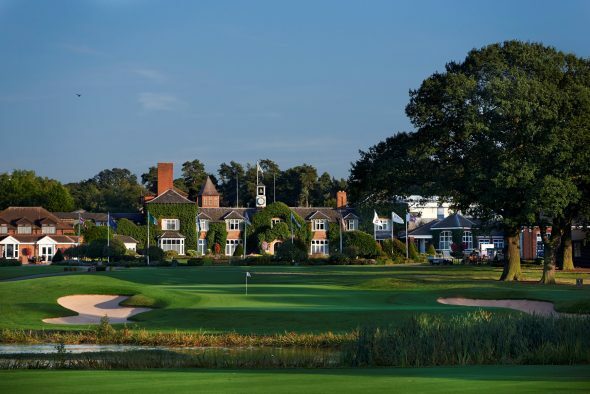 The resort was once again named ‘Best Hotel/Resort’ in the East & Midlands, while the legendary Brabazon Course, which has hosted the Ryder Cup on four separate occasions, was selected as ‘Best Golf Course’ in the East & Midlands category. That makes it a hat-trick of successes for The Belfry, after receiving the same brace of awards in 2014 and 2015. Commissioned by Today’s Golfer, the UK’s most-read golf magazine, the Today’s Golfer Travel Awards are among the most widely-respected consumer awards in golf, as they are voted for by golfers from across the UK, and offer an entirely objective view on the best golf resorts in the country. These accolades are only the latest in a string of awards for the luxury Midlands resort, after receiving a host of awards from across the golf and leisure industries over the past year. In 2015, The Belfry was named ‘England’s Best Golf Hotel’ at the annual World Golf Awards, where the Brabazon also claimed the title for ‘England’s Best Golf Course’. At the prestigious World Travel Awards, The Belfry was named ‘England’s Leading Resort’, while it also picked up a ‘Gold Flag Award for Golf Resorts’ at the 59 Club Service Excellence Awards for 2014/15. These successes just further underline the quality of service and exceptional golf facilities on offer at The Belfry. From the world’s only four-time Ryder Cup course, The Brabazon, to the pristine PGA National and Derby courses, PGA Golf Academy with four dedicated custom fitting suites, expansive Golf Shop, and new Ryder Legends Mini Golf course – The Belfry Hotel & Resort has something to meet the needs of every golfer. Ian Knox, Director of Golf at The Belfry, commented upon his delight: “It’s fantastic to earn these awards for a third successive year, particularly as they recognise the wide scope of our facilities and the high level of service that we offer throughout the resort. To have that recognised by the UK golfing public is a pleasing endorsement of the work that the whole team continues to do both on and off the course. For more information and to find the latest offers from The Belfry visit www.TheBelfry.com.